The city of Nashik is situated in Maharashtra and is known as the Wine Capital of India, given the quantity of grapes it produces. 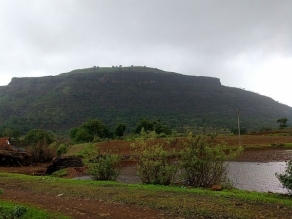 It is around 180 km away from Mumbai and close to 200 km from Pune. The ‘Napa Valley’ lies on the Western Ghats. 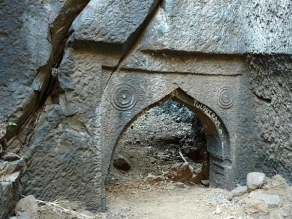 Nashik was formerly the capital of the Satvahana Dynasty. During the 16th Century, the city came under the Mughal rule and was called Gulshanabad. From them it went over to the Peshwas, who finally lost the place to the Britishers in the 19th Century. Famous freedom fighters like Veer Savarkar are from Nashik. It is suggested that the exile of 14 years that Lord Ram was banished to was spent near Nashik, at a place called Tapovan. At this very place, Lord Lakshan cut off Shurpanakha’s nose, and hence this place came to be called ‘Nasik’, which translates to a Nose. Kalidas and Valmiki have spoken of Nashik in their works. The renowned philosopher of 150 BC, Plotemy, too mentioned Nashik. Nashik is presently Maharashtra’s fastest growing city. Infrastructure, education, industrial, and a numerous other aspects – Nashik has developed tremendously in each of these spheres. The Trimbakeshwar Temple is merely a few kilometres away from Nashik and is a major pilgrim attraction. Mukti Dham is another temple that is considered as one of the four Jyotirlingas in India. It has the chapters of the Hindu Holy Book – The Bhagvad Gita's chapters inscribed in a detailed fashion on its walls. The Kalaram Temple is another temple that is made of black stone and a favourite amongst its devotees. Visit Panchvati to see the Sita Gufa that holds a lot of references and anecdotes from the Ramayana. There also is the only one of its kind Coin Museum in Asia, here. Coin collectors and eager numismatists will love the coins that are put out on display here, a few dating back to as much as a few centuries. There is an Artillery Centre close by, which one can explore. The Kumbh Mela is a widely followed affair in this region. One of the biggest and grandest in the entire world, this fair is held just four times every twelve years. A colossal amount of people gather in Nashik during this season and revel in the varied forms of entertainment available there. The accommodation here is available to suit all pockets. Right from three star and five star hotels down to dharamshalas – a pilgrim of any background can visit Nashik and be rest assured that his stay here will be pleasant and memorable. Nashik is famous for its production of grapes. The Sula Vineyard is a must visit for keen wine tasters. The delectable chivda from here should not be missed. A little known fact about Nashik is that it is the very place where the Father of the Nation, Mahatma Gandhiji started the Non-Co-operation Movement. It was a roaring success. Dr. B. R. Ambedkar followed suite and led the agitation in support of the ‘Untouchables’ who were considered as the lowest rung of the society. 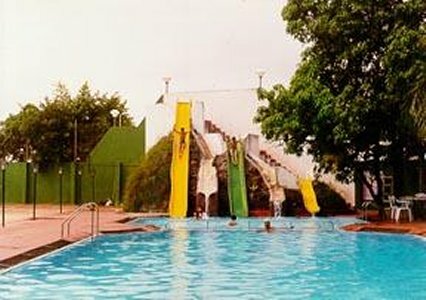 Given its location, the climate of Nashik is tropical, giving rise to extreme temperatures. As a result the hot summers are generally avoided for travelling, while the cool winters make for a perfect getaway time. The monsoon season is also a beautiful time to be spent in this city, although this only poses as a good option for rain-lovers! Nashik is centrally located and hence travelling to the place isn’t a big issue from any corner of the country. The Nashik Airport is close-by, if one plans to arrive by plane. Even on the railway line, Nashik is easily accessible from all major points like Mumbai, Pune, Hyderabad and Bangalore. It is a major junction. By road, there are innumerable options available. State transport buses and private tour operators – the travelling expenses are very minimal and affordable by anyone and everyone. Nashik is a major pilgrim site in India and is culturally seeped deep into our Indian history. The city is progressing like never before and is a perfect blend of Modernity meets Tradition. Travel to this place and see first hand the terrific attractions it holds and take several cherishable memories back home. A cost of Rs. 4000 can fix you a taxi ride from Mumbai to Nashik. The NH-3 National Highway connects Nashik to Mumbai via the Thane-Kasar-Igatpuri path. Pune is about 220 km away from Nashik. There are several state run and private tour buses available that ply from several cities and towns in the state to Nashik. Nashik is very well connected to all the major towns and cities within the state of Maharahstra via trains. The Panchvati Express from Mumbai will reach you to Nashik within 4.5 hours. Taxis are available at the Naghik station to take you further into the main city. The Mumbai Chattrapti Shivaji International Airport is the closest international as well as domestic airport to Nashik, at about a distance of 185 km. The International Airport is, in turn, linked to all major airports in India and abroad. 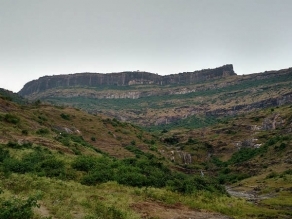 The Beautiful Tringalwadi Fort Is A Perfect Escape From Nashik!